I feel the need to write a little bit about ‘Design Thinking’ even though I am still not entire too sure exactly what it is. I have already written about Design Thinking (see BT’s Design Thinking and Business Design in the early 1990s and If Design Thinking is Dead then What Next? ), and how perhaps this term has been so overused the concept is now dead, but I thought I would return to the theme and look at how it compares with an area of work which has been a constant theme throughout my career in innovation, and that is the design of the customer experience. The reason why I am so attracted to work on the customer experience is that it really does force us, through a range of different techniques and methodologies, to really place us in the shoes of other people, namely customers (although right up front I want to point out that if you have a verity general concept of ‘customer’ then the techniques become ever more powerful). It is always interesting to me to think about mobile technology in the 1990s, as sometimes we forget just how rapidly the mobile internet grew after 2000. Cordless phones were still analogue, and a new digital technology standard, DECT, had just been launched, allowing you to take a cordless phone into your garden and not drop the call. The phones were pretty chunky, much larger than the mobile phones of this time, which of course were still not widely used due to the high cost of calls, both for the owner and the person calling a mobile. Hence BT had the bright idea of commissioning a new phone, one which would act as a cordless phone at home or in the office, and a mobile phone when away from base. The cost of calls would be reduced, and there would be no more need to two handsets. A simple proposition maybe? Around 1993 BT formed a partnership with Ericsson to develop the handset, which was codenamed OnePhone, a name which would eventually become the brand name. At this time, 1994, I was the only person in BT’s Human Factors department specialising in mobile technology, my other colleagues focusing their efforts on multimedia and what was then a huge project developing Video on Demand via phone lines. I joined the project to map out the customer experience, and I really think this was probably one of the most complex innovation projects I have ever worked on. 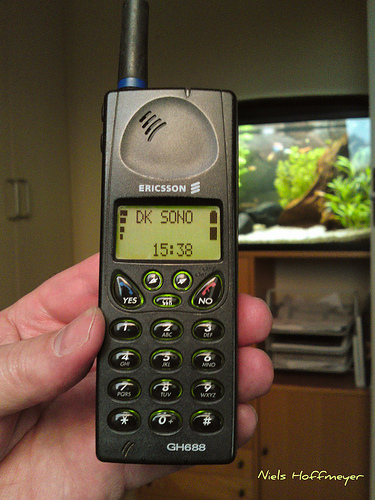 I do not have a picture of the actual handset we worked on, but I recall that it was based on Ericsson’s GH688 (some of you may have had an Ericsson phone in the 1990s. They were one of my favourite designs). This handset was GSM mobile phone, and in the prototype stages it had two different aerials. As you can see, the screen was pretty low-fi, with smart phones of any description not yet being available (this was the age of the Psion and Palm Pilot digital organisers if you remember them), and so the actual user interface design was already going to be tough. But the user interface design is only one part of the customer experience. The customer experience is every interaction, every feeling, every experience that the customer has with a company, and if this is not fully understood, then the company is going to face problems and costs further down the line which was not anticipated. In the case of OnePhone, there were three different customers. There was the person using OnePhone, either a corporate user or a residential customer, there was the Corporation who would be buying this as an overall solution (including all the networking and routing equipment and services) and then also you have the person calling a OnePhone. So here was the crux of the issue. Not only would the person using OnePhone need to know when the phone had switched from the cordless mode to the mobile network, the person calling the phone would need to know what the cost of the call would be. The regulation was such as the customer would know this via the type of number they were dialling (e.g. 0181, 0800, 07801, and premium lines etc), so a single number which changed rates would not be possible. 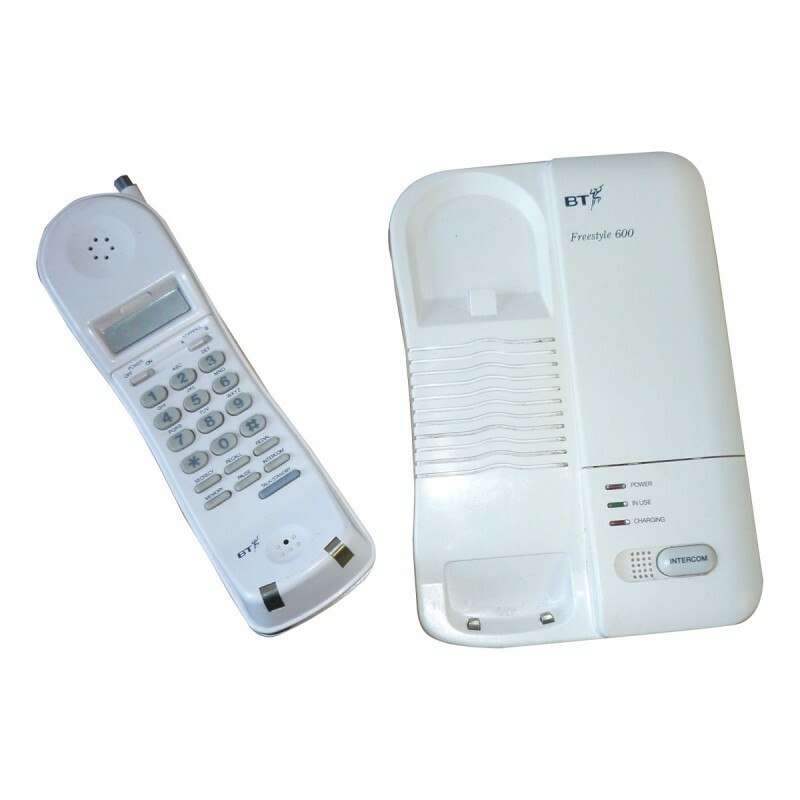 In the end, BT launched a corporate OnePhone solution in 1997, and a residential version in 1998, but there was still no true OnePhone which worked both in companies and at home. A new personal numbering service was also launched, the idea that people would have one number for life, one which would follow them around, but this concept never really took off. One year later, in 1999, the ability to send a text from a mobile phone on one network to a phone on another network was finally implemented, and text messaging then really began to take off, as the cost of calls also began to fall. With many younger people opting not to have a residential phone at all, OnePhone would never become a mass-market success. What I think is interesting today is how many companies are now taking a much wider view of their purpose in life, and as well as just considering customers, they are considering their place in society, and their impact on the environment, something that was just not on the radar in the telecoms industry in the 90s. Whereas Design Thinking may be suffering through being seen as a bit of a fad, perhaps we just need to go back and look at how the less bombastic community of customer experience designers have been developing some excellent methods for wading through the complexities of product and service design, complexities which are only increasing in our now interconnected world. An excellent example comes from work done mapping out the European Rail Network customer experience (for a high definition PDF version click on the image above). As you can see, this type of work necessarily involves seeing customers not as customers but fully thinking, sensing and feeling human beings. Often different scenarios are used with different types of customer, and in this way a very deep intuitive feel for the complexity of a system can be developed. This work is not just about developing products for people to consume. Of course it can be, but for me there are many ways of taking customer experience work forward, one immediate one being the identification of waste, still a huge course of additional cost in companies. Otto Scharmer and other commentators are now increasingly talking about the move from ego-centric thinking to eco-centric thinking, and the need for more conscious innovation. One way to move out of our egos is to do work leading us into the shoes, the lives, and the deep experience of others, and this is where I see so much potential. Design Thinking may be dying, but design is coming alive with ever more opportunities to develop better, more ecological products, which focus on the whole, and not just consumers who are only seen as crudely defined demographics. ← What does a week with Henri Bortoft look like?